Lana has worked in the fitness industry and provided quality speaking, training, and workshops, with proven results for over 20 years. She started her career in the fitness industry working in a myriad of ways from part-time Sessional Instructor at a university to owning and operating her own personal training business. She stays fit by teaching fitness classes, one of her favourite hobbies with Barre, Pilates and Spin as her top workouts. 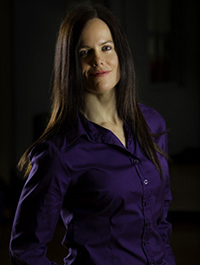 As a trainer of trainers with the AFLCA (Alberta Fitness Leadership Certification Association) she conducts workshops on people interested in getting certified in fitness throughout Alberta. Lana prides herself in staying current by attending conferences, reading industry journals and taking courses every year. My passion is fitness. My favorite quote is "If you love what you do, you never have to work again." I love everything about fitness – the variety, the people I work with as well as the clients I train and making a difference in their lives. I believe in achieving dreams, challenging one’s individual limits, training hard and becoming the best that you can be. Fitness can make you feel ALIVE and take you beyond your wildest dreams. Not only do I want people to feel better and look great, I want them to have a better quality lifestyle. The certifications and experience I have received allow me to offer a broad range of professional training services: Pilates and core training; functional/balance training; rehabilitative training; personalized individual routines; body shaping and toning; overcoming fitness plateaus; limited time workouts and keeping people fit for life. Let me bring my passion and strengths into your fitness so you can live your best life! "As a triathlete and someone who has had to start over after a back and hip setback, I found Lana's training to be invaluable in my recovery. Not only did Lana’s sport-specific strength training help me to recover, but it also helped me to achieve a personal best in both sprint and Olympic-distance triathlons this summer. I continue to work with Lana as I strive to compete in a half-Ironman triathlon next summer."